Do you want to play the Most Popular Poker game but don’t have the chance, meaning time and budget constraint? Well, here’s some good news! 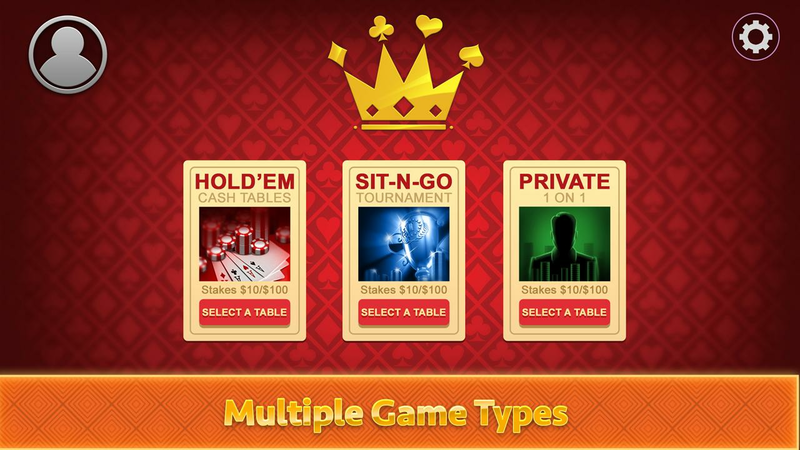 Sonny Games now provides one of the most well-known poker brands in the form of Texas Hold'em card game, which offers a variety of ways to play Hold’em. 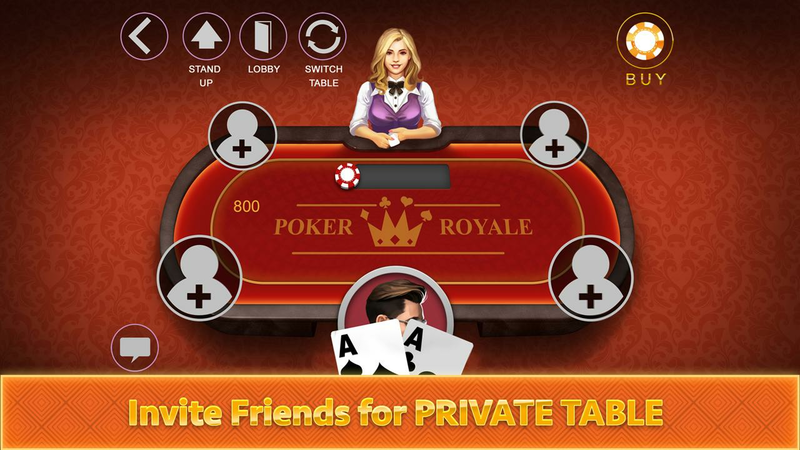 The Royale Poker app offers a Private Table mode where you can play with your friends, Game Mode where you can play against others and even a Vegas VIP mode, where you can feel like you are playing at one of the top poker tables in Vegas. 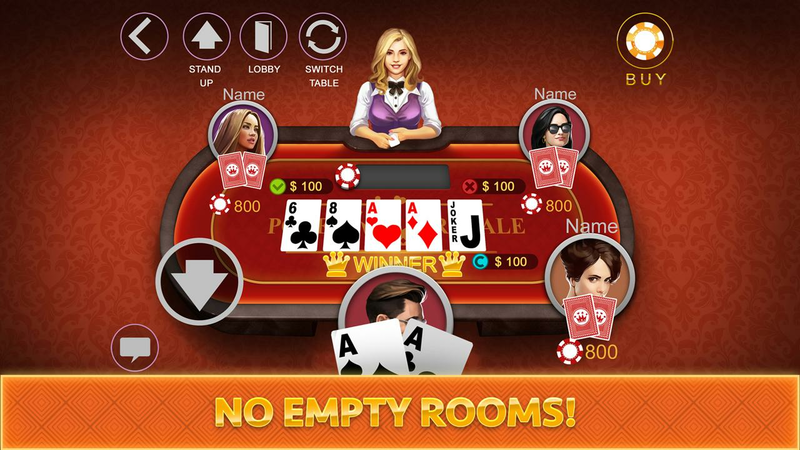 Royale Poker Hold’em provides you rich animations to improve the visual poker gaming experience. This casino game also offers a decent ability to play at your level and difficulty levels increase to help improve your poker skills over time. 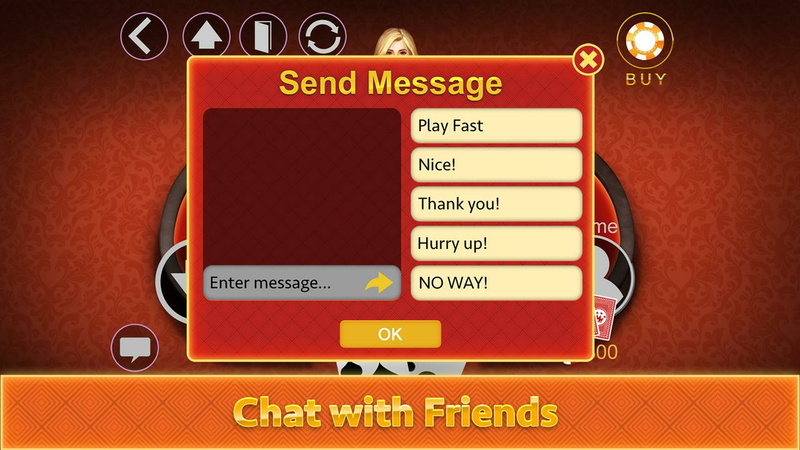 The chat capability available within the game allows you to further develop your game by interacting with other players. 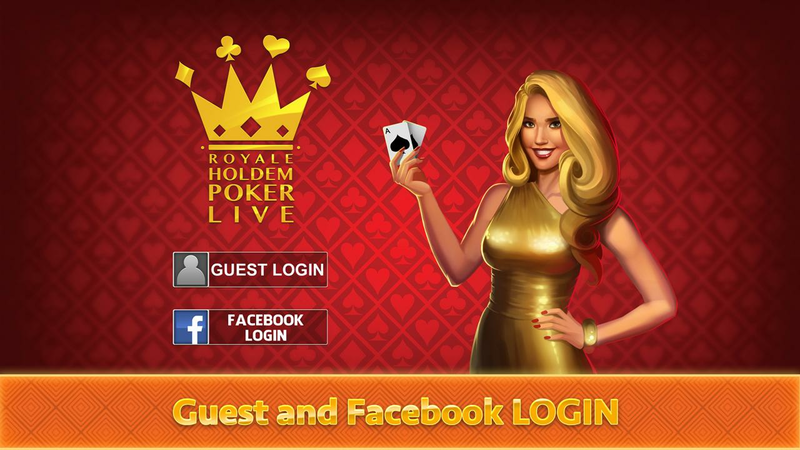 Royale Holdem Poker Live a highly customized poker game experience offers you the ability to indulge in a number of Texas Hold’em options including shootout and faster tables, for a quicker non-stop experience. Once again, chat rooms are available as well as the ability to increase up the rankings. Just like Vegas! 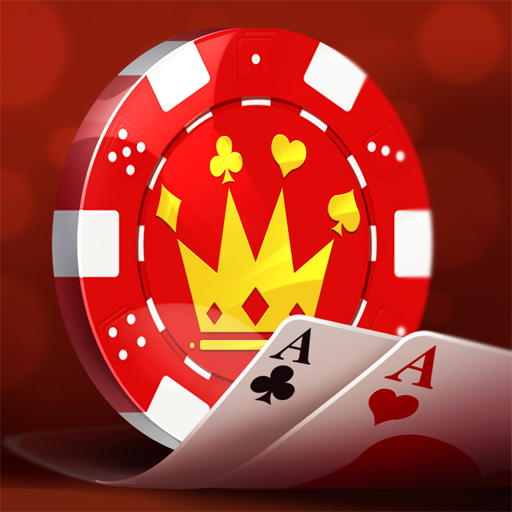 play classic Texas Hold'em card game and play with highest stakes. 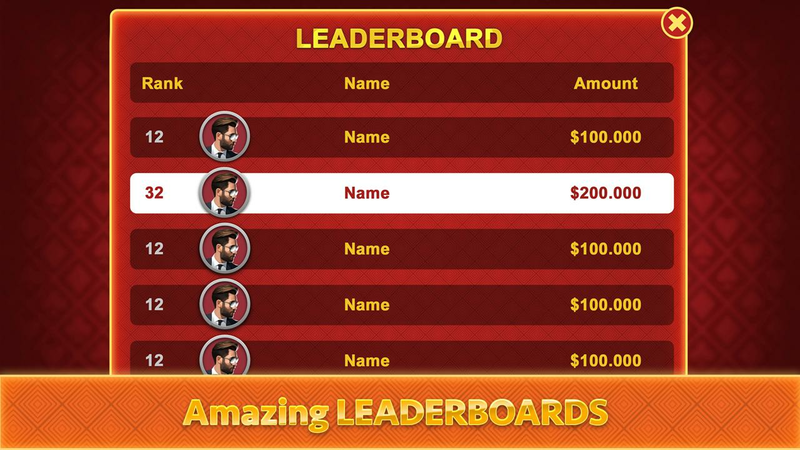 Feel the TEXAS HOLD ‘EM and is up to you decide and win your treasure! Play faster or slow and make your choice of stakes as many as you can play with 5 to 9 players. 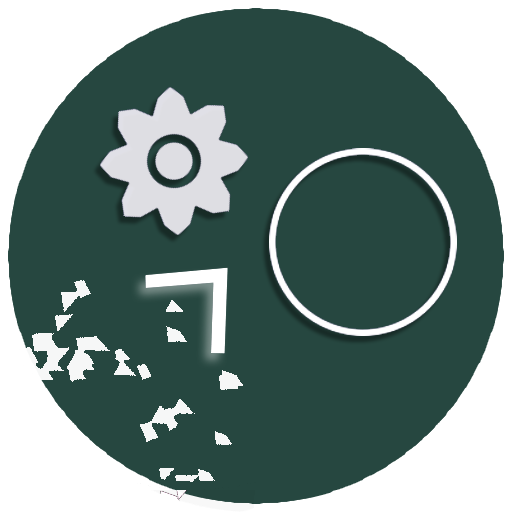 Enter your code and create your Private room. Invite your friends to join this table by entering the private table code. Share the table code and invite with short message,or your Gmail easily and call your buddies to your private poker table.